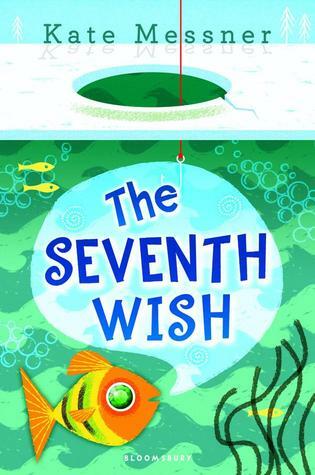 As an adult, Kate Messner's book, The Seventh Wish took me back in time. She opens with the main character looking for ice flowers on the lake. You are immediately immersed in the magical winter wonderland. The main character's fear of the dark ice is a foreshadowing of darker times ahead for Charlie. I loved the descriptions of Irish dance. Kate was spot on with it. I know this from my daughter's years of dance. My daughter delved into dance as a way of dealing with her grandfather's death. There are raw emotions throughout this book. I've been in Charlie's shoes when it came to the problems her sister had. Issues of drug abuse and alcoholism tear families apart. Some ever recover. I cried right along with Charlie when she realized she'd helped her sister lie. I felt her pain at the denial, lying and stealing. Most of all I felt her pain and understood when she felt her sister's problems, trumped all she had worked for. This hook is not about finding all the right solutions. It is a book about looking for and holding on to love and hope. Not since reading Laurie Halse Anderson's book Speak have I felt such raw emotions. This is one of the most gut-wrenching, hope-filled books I've read in years. It is a must read for young and old alike.